Contact Randall's Climate Control to find out why we are the best HVAC service in Texas! Click to Call!Request A Quote! 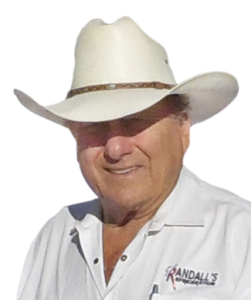 The remarkable contractors at Randall’s Climate Control will provide you with affordable professional HVAC maintenance services. We will accurately assess your issue, and our team takes care of any heating or cooling problem to bring functionality back to your property. We specialize in everything from working with broken thermostats to air duct cleaning. Our contractors are well-versed and knowledgeable in removing old HVAC systems and parts and replacing them with new ones. As part of our heating and cooling services, we offer HVAC system installation service. Air conditioner and heater installations are part of every property owner’s maintenance. Our aim is to give you back your AC or heat as fast as possible at reasonable costs. We are a Texas area full-service heating & cooling service business. Our team and trucks have all the skills and tools needed to clean vents, inspect HVAC systems, and detect air conditioning leaks. From furnace repairs to heat pump repairs, Randall’s Climate Control has a crew of air & heating technicians who can correctly assess the problem and offer you with the best, most economical resolutions for your Texas home or business. Your HVAC system carries a huge workload, and you depend on it to keep your living or workspace comfortable. In order to keep your heating and cooling system operating properly, you need to contact us for routine maintenance. The ideal time to inspect your heat pump and any other part of your HVAC unit is before you need it. The heating and cooling system experts at our company are prepared to take care of any air & heating requirement, from HVAC tune-ups to central air installation service. As your TX air & heating contractor, we bring to the table 35 years of experience in the industry to get the work performed effectively. We will keep your HVAC unit working at supreme efficiency, so you can rest easy, knowing you will be warm when winter hits and cool and relax during the Texas summers. When you contact us for HVAC services, you will get the benefits of the best business for heating and cooling work in Texas. Not only can you depend on the restoration of the heat or air in your property, but our services can help reduce potential electrical fires due to a malfunctioning heater and air conditioning system. Our heating and cooling contractors are here to give prompt air & heating maintenance, whenever you need. When extreme weather hits Texas, you don’t want to get caught without a properly working HVAC unit. When it comes to a dependable cooling and heating maintenance company, there is no one more reliable than Randall’s Climate Control. We are the ones to get your air & heating unit up to peak performance. We know that when the weather is extremely hot or cold, you can’t afford to have any central air conditioning or heat system issues. Our experts take your issues seriously, and we’ll treat you and your property with the greatest respect throughout the duration of your project. Contact us at Randall’s Climate Control for all your heating and cooling service needs! Our HVAC services cover many areas including Tomball, The Woodlands, Spring, Magnolia, and Conroe. Give us a call today to see if we cover your area as well!